Looking towards new opportunities for economic growth, the General Assembly took steps to provide $500 million in Innovation Network startup seed money as part of the FY19 budget. Creation of the Illinois Innovation Network, which is being governed as an affiliated partner of the University of Illinois, followed a series of studies by experts on the importance of face-to-face interactions as an essential element in the fostering of technological innovations and job creation. California’s Silicon Valley is a classic example. The Innovation Network plans to utilize modern fiber optics to enable a wide variety of contact opportunities, including high-speed video conferencing and terabyte data-transfer, between Innovation Network hubs. The Innovation Network will encourage its affiliated professionals to concentrate on issues of food systems, water resources, and environmental change. The Innovation Network has already announced decisions to place hubs in Chicago and in Springfield. The NIU/DeKalb hub announcement was made on Tuesday, October 9. Spike in concealed-carry license renewals. The five-year anniversary of the legalization of concealed-carry firearms has the Illinois State Police getting ready for a spike in renewal applications. In addition to the Firearm Owners’ Identification Card (FOID Card) required of all gun owners, the act of carrying a concealed weapon requires a special Concealed Carry License (CCL) license and training. After passage by the General Assembly, the Illinois concealed-carry law went into effect in July 2013. Now that five years have gone by, many CCL licenses will expire in 2018-19. In many cases, current CCL license-holders will want to renew these licenses. Prior to submitting paperwork for their CCL renewal, re-applicants will need to undergo three hours of training by a certified instructor in concealed-carry safety. The State Police has posted an online list of CCL instructors whose approved curriculum includes a three-hour renewal class. Once a CCL re-applicant can submit verifiable information that he or she has completed the training, the renewal process can continue. The State Police is not currently accepting CCL renewal applications from applicants who are more than five months away from license expiration. Their staff support is limited, and due to the spike in projected applications, they must concentrate their renewal scrutiny upon licenses that are nearing the end of their lifespans. The State Police recommends that prospective concealed-carry card re-applicants undergo required retraining at about the six-month mark, and then start the renewal process at the five-month mark. Firearm concealed-carry card renewal will require submission of valid paperwork plus a $150 fee. The State Police hopes to be able to turn around most renewal applications within 30 days. Illinois Department of Insurance releases ACA Exchange health care insurance rates for 2019. On Wednesday, the Illinois Department of Insurance (DOI) released its on-Exchange health care rate and plan analysis for Plan Year 2019, showing that rates have stabilized for the first time in recent years. Average rates for the 2019 lowest cost silver plans decreased four percent and the lowest cost gold plans decreased by six percent from last year. Overall, rates for the lowest cost bronze plans modestly increased approximately six percent, far less than the 20 percent increase reported for 2018 rates. "Illinois consumers will finally have some relief after facing years of on average double -digit increases in health insurance premium rates," DOI Director Jennifer Hammer said. "We are starting to see signs that the Exchange is stabilizing given this year's rates, a new insurer entering the on-Exchange market in 2019, and no insurers from last year exiting." Get Covered Illinois (GCI) is the official health marketplace or "exchange" for health insurance for all Illinoisans. Individuals and small businesses can purchase their health insurance on the GCI website. Because GCI facilitates the federal subsidies, consumers are able to see their monthly premium at the discounted price. DOI is advising consumers enrolling or re-enrolling in coverage to start shopping early, due to the six week enrollment period set by the federal government, and to look at all options available to them on and off the Exchange, from November 1, 2018 to December 15, 2018. "We continue to focus on our core mission - to protect and educate consumers," Hammer said. 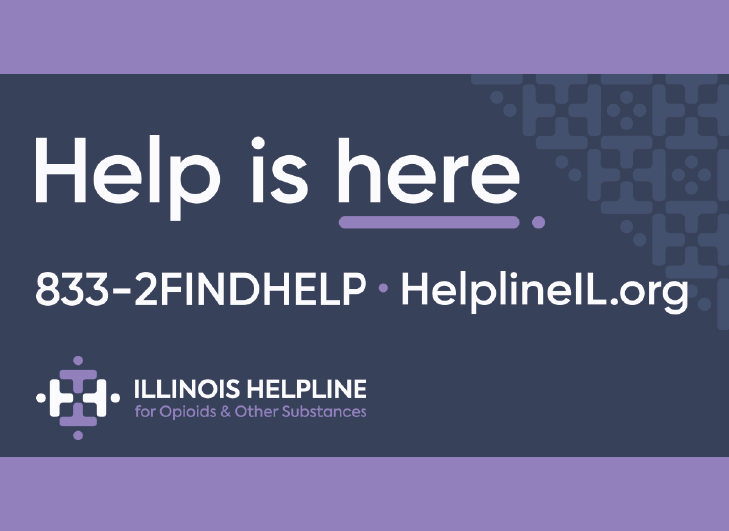 "We recognize some families may have to face difficult decisions this fall, and we will be visiting all 102 counties for the second year in a row to discuss coverage and answer questions about mental health and substance use disorder treatment. We want to make sure consumers are aware of all their options." Consumers are encouraged to visit DOI's GCI website at: https://getcovered.illinois.gov for further information and assistance, or to contact their trusted licensed insurance agent. The Get Covered Connector on the website allows consumers to search for options by zip code to find local, free application help in English or Spanish. Consumers can also use this tool to schedule in-person assistance appointments with navigators and certified application counselors. Anyone may call DOI at 866-311-1119 for additional resources and information regarding health insurance. $14 million for capital improvements at Illinois state parks. Governor Rauner has announced the release of funds for more than $14 million in capital improvement projects at state parks and recreation areas managed by the Illinois Department of Natural Resources (IDNR). This money was included in the FY19 bipartisan budget signed in June and will be used for capital improvements to parks statewide. The park improvement and maintenance projects are at sites throughout the state and include: Argyle Lake State Park in McDonough Co., Eldon Hazlet State Recreation Area in Clinton Co., Fort Massac State Park in Massac Co., the Illinois and Michigan Canal in northeast Illinois, Kankakee River State Park in Kankakee Co., and Mississippi Palisades State Park in Carroll Co.
“These important projects will help ensure the health and safety of our state park visitors and site personnel – and make it easier for visitors to enjoy our state park recreational facilities, including lakes, waterways, and campgrounds,” said IDNR Director Wayne Rosenthal. "The Mississippi Palisades State Park is in my hometown of Savanna and was once one of the most visited state parks in the state of Illinois,” said Rep. Tony McCombie. “The campground, challenging trails, majestic lookouts over the Mississippi River, and natural rock monuments like the Twin Sisters and the Indian Head have been a great draw for our region. This investment is long overdue and will ensure visitors will enjoy our park for years to come. I am grateful for this investment in our state park and the natural resources infrastructure." IDNR has already committed $4.2 million in funds to aid in the completions of these projects. All projects are expected to be completed by the fall of 2020 with most reaching completion by fall of 2019. Illinois Department of Revenue Launches New Website. The Illinois Department of Revenue (IDOR) is inviting taxpayers to explore the new look of its redesigned website; tax.illinois.gov. The new mobile-friendly website features simplified site navigation and enhanced functionality to provide businesses, tax professionals, and the public easier access to the information needed most. "As times have changed, so have the ways taxpayers access and consume information," said Connie Beard, IDOR Director. "With this website redesign, we make it easier for the public to navigate our information, no matter what device is utilized." Key features of IDOR's new website include encrypted security, better accessibility, a drop-down menu system at the top of every page, and real-time traffic-driven listings showing users what questions, forms, and tax types are currently garnering wide interest. Department of Homeland Security approves Illinois drivers’ licenses for one more year of air travel. Illinois’ drivers’ licenses are out of compliance with various REAL-ID mandates intended to maintain and increase security of U.S. air travel. The federal agency has granted Illinois a further extension ofalmost one year, until June 1, 2019, to move further towards compliance with these mandates. 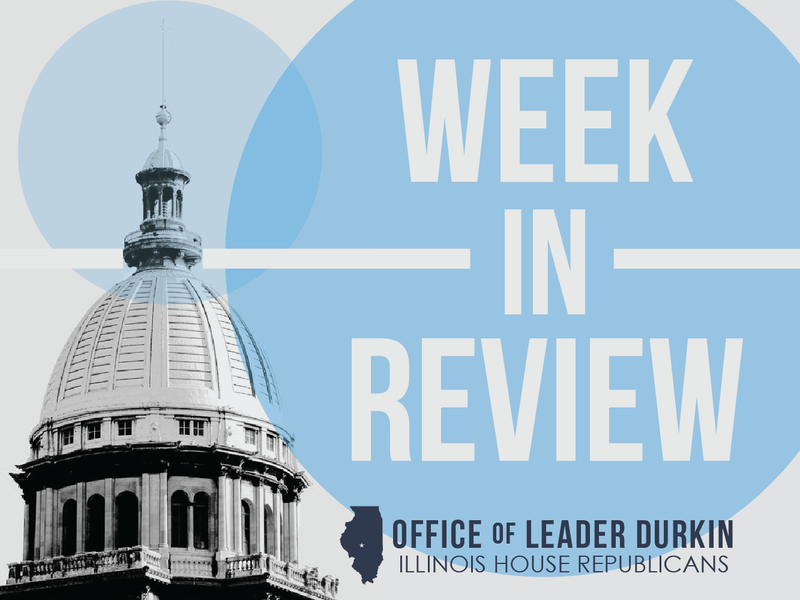 During this extension period, federal agencies will be allowed to accept currently valid Illinois drivers’ licenses as adequate ID-card identification for admittance to federal buildings, nuclear power plants, and commercial aircraft takeoff and landing space. Illinois drivers’ licenses are printed and issued by the Office of the Illinois Secretary of State. As part of its movement towards REAL-ID compliance, the Secretary of State’s office has already consolidated the way that it produces and prints out the license cards. The cards, which were once printed and handed out on the spot to applicants at local Secretary of State Driver Services offices statewide, are now manufactured in a secure facility and mailed to approved applicants. 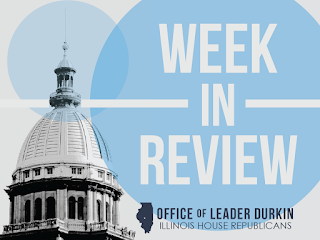 Illinois is being urged to adopt further components of the REAL-ID Act. These additional mandates impose separate sets of additional verification information that (a) new drivers’ license applicants, and (b) applicants for license renewal, will be required to provide. All applicants, including renewal applicants, may soon be asked to bring in a Social Security card, a passport or other form of secure supplemental personal identification, and proof of current address such as a utility bill that has been computer-addressed and mailed to their place of residence. In addition, new applicants may be asked to submit additional information. Bicentennial Celebration to feature star-studded lineup for state's 200th birthday party. Night features original Gettysburg performance starring Hamilton Chicago’s Miguel Cervantes, parade of sports champions, members of the Chicago Symphony, REO Speedwagon, other Illinois bands and celebrities. The celebration of Illinois’ 200th birthday will be held on Monday, December 3 in Chicago. The celebration will combine themes of patriotism, sports, history, and Illinois video and musical entertainment. The named co-celebrants of aspects of the Illinois experience will include Miguel Cervantes (Hamilton/Chicago) and bands Styx and REO Speedwagon. Introductory emcee will be longtime Chicago news voice Bill Kurtis. Videos and music will celebrate the heritage of our 16thPresident, including renditions from Lincoln, Steven Spielberg’s Academy Award-winning biopic. Illinois sports superstars will include Olympic athlete-immortal Jackie Joyner-Kersee. Legendary blues guitarist Buddy Guy and his band will perform the finale. 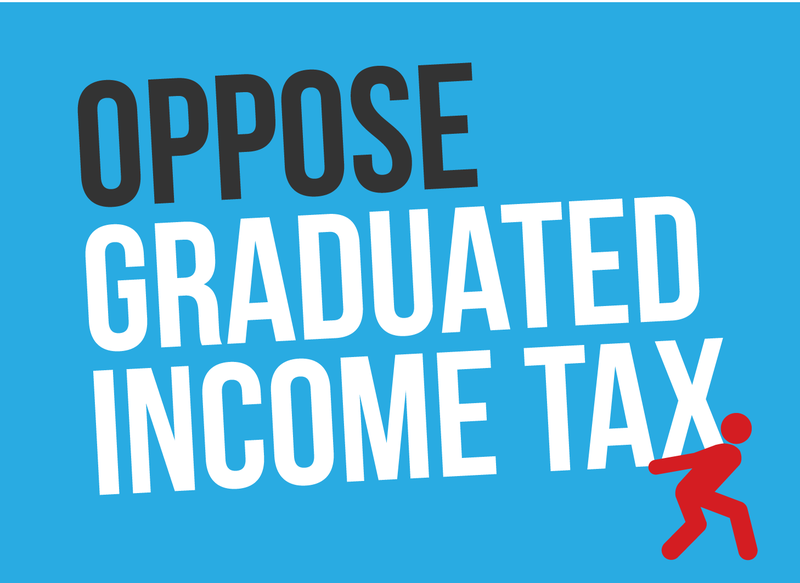 For more information, go to www.illinois200.com.